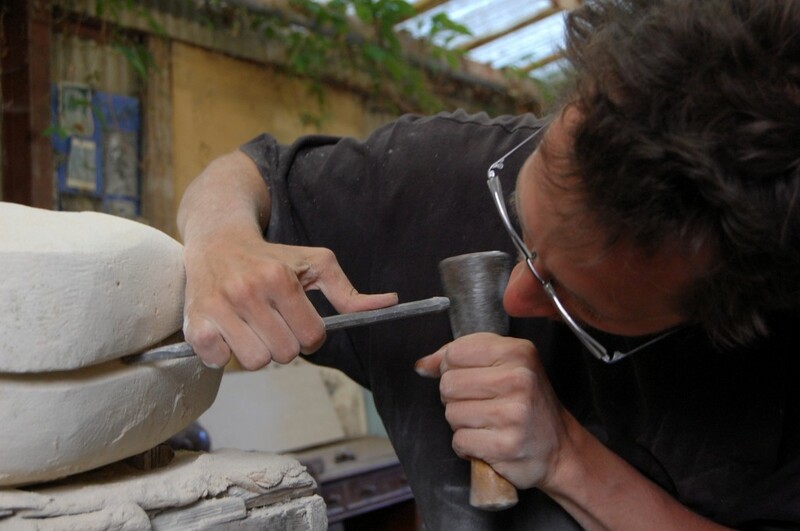 I am a sculptor living in the UK. I love the rhythmical simplicity of hand carving; hollows, dips, mountains, rivers; landscapes and civilisations all appear in the stone before my eyes. My sculptures emerge out of a feeling of ancient primeval forms and a harmony in the process of the work its self – patterns which reflect our relationship to our selves, one another and the universe. 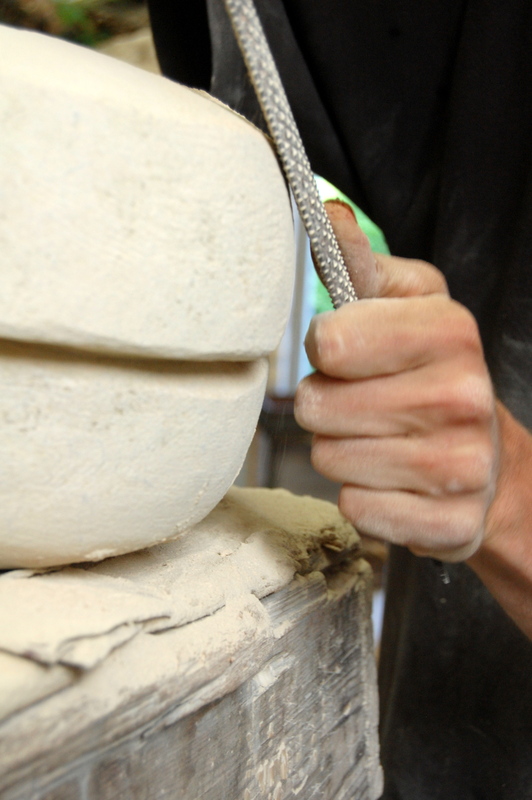 Carving forms with strong symbolic language – a circle, an egg, a spiral; a smooth to rough surface – these basic impulses to create visual impact and speak beyond words are what I like to see and create in a work. 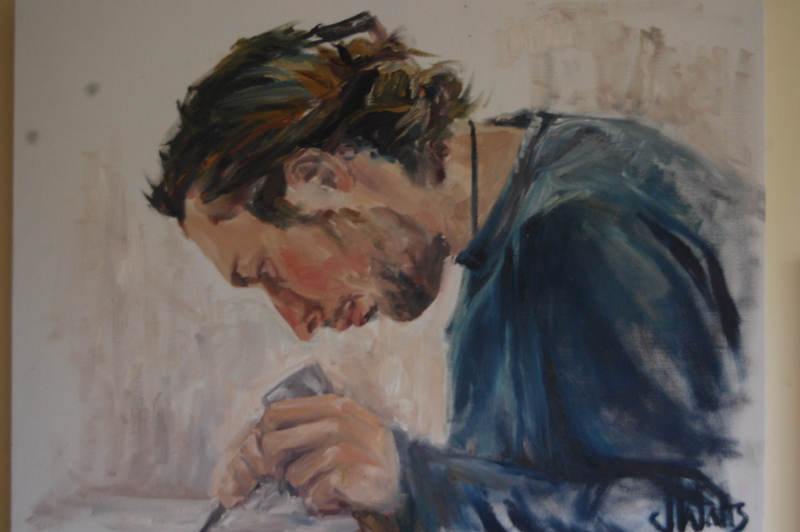 I try to give each piece a sense of timelessness and innate form; a living presence that grows. The natural world of plants and animals and landscape has a huge influence on me. 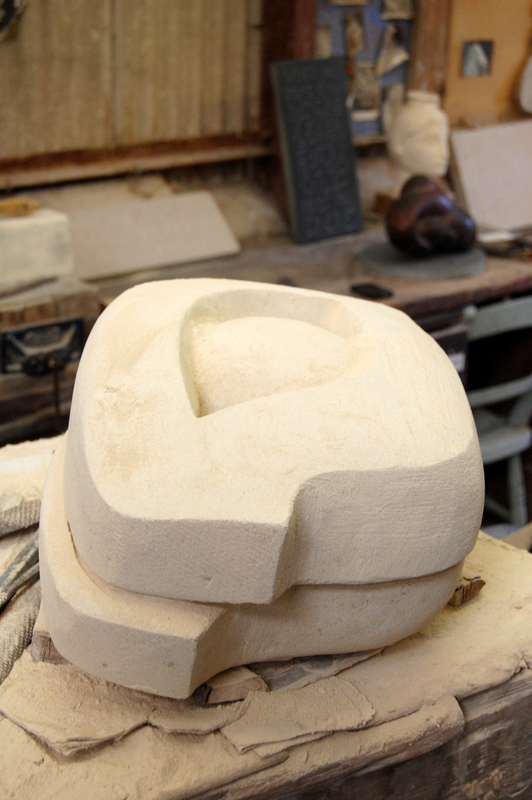 My carving reflects my feelings for my external surrounding landscape, as well as what is going on inside me. The power of touch, the feeling that “this is real”, is a central theme in my work. I create on impulse, out of an inner necessity to find peace, balance and meaning within my own life. I like to work with off-cuts of stone: the flawed, cracked, inconsistent pieces of stone; making beautiful that which is seen as worthless. 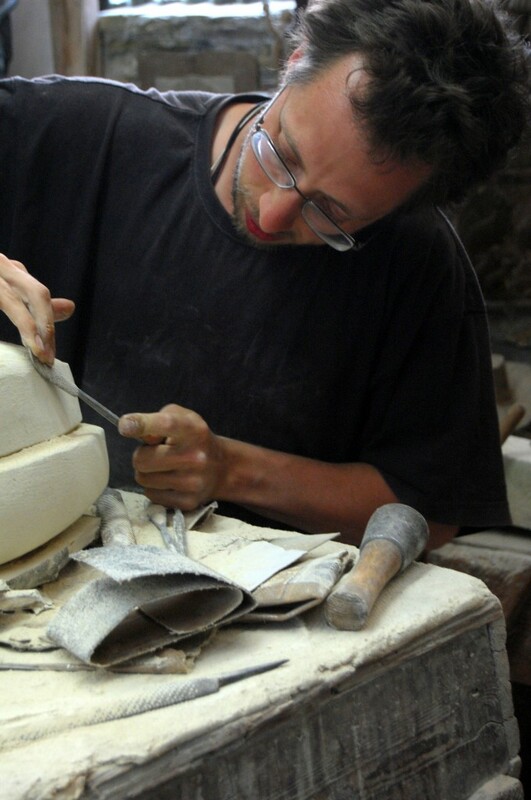 Through working with the challenges in irregular rough stones, each piece develops a unique character that would be lost in carving clean cut consistent blocks of stone. I like to carve directly into the stone, without making models, though occasionally I do use models. However I do draw onto the stone itself. I sit with the stone for long enough until a clear idea emerges on the surface of my mind. I work mainly with punch, claw, and chisel. 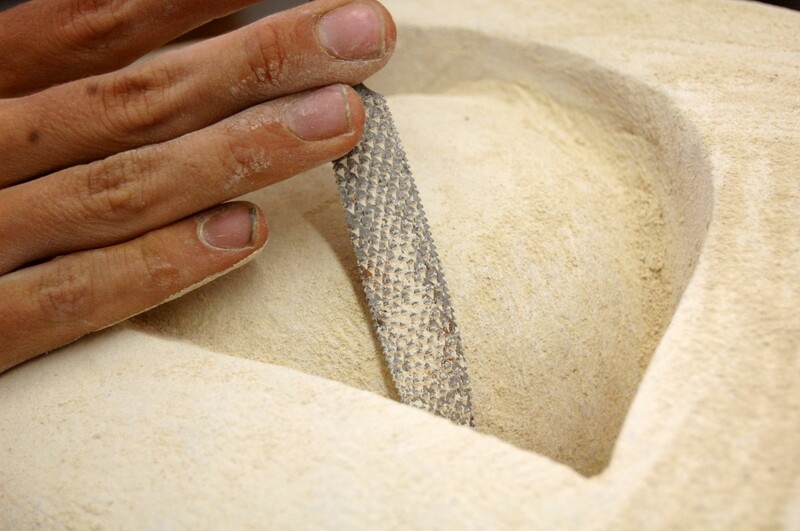 I think of carving as a bit like a conversation with the stone – I impose a design and the stone responds by revealing its own inner nature – its crystals, and fossils. My design then has to evolve around the difficulties inherent in the structure of the stone. There is a form within the stone which I try to uncover. Letter carving is a way of fusing the worlds of poetry and craft together. I like to draw on spiritual texts; words which have deep meaning for me. Through the carving of them, they become my mantra. I see letter forms as abstract sculptures in themselves, and sensitively designed, they can give the text an added personal touch.